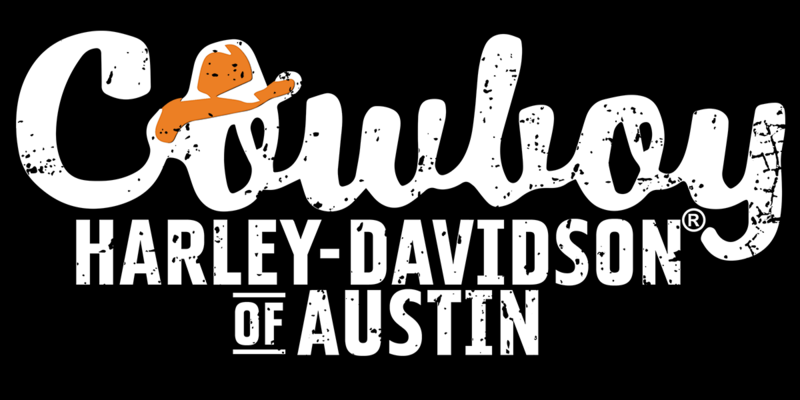 Here at Cowboy Harley-Davidson of Austin, we're always interested in meeting a smilin' face! If you're passionate about pursuing a career in keeping Austin riding Harley-Davidson® Motorcycles, come on down to Cowboy Harley-Davidson® of Austin and say "Hi!," or, if you see an open position below that sounds like the right fit for you, fill that bad boy out, and we'll get back to you if we believe you're the right fit. Who knows? You could turn out to be the new face of our big, Harley® ridin' family, right here at Cowboy Harley-Davidson® of Austin! Don't see the right fit? Don't let it getcha down! Check back later. You never know! We might have the perfect opportunity for you tomorrow! Helping a person discover the right model and fitment for their personal Harley-Davidson® motorcycle is a sacred form of art that we take extremely seriously at Cowboy Harley-Davidson®. We constantly strive to maintain the best team of Fit Specialists on our Sales Team as possible, to ensure that our customers are given the most ideal experience when selecting the best Harley-Davidson® motorcycle for their situation and needs. Do you have what it takes to be a Cowboy? If you’re our person, let us know by filling out this application! If we feel you are the right person for the job, we’ll get in touch with you as soon as possible! Helping a person select the proper parts, accessories, and upgrades for their Harley-Davidson® motorcycle is one of the most important processes when preparing someone to have the best experience possible on the road ahead. We continuously make sure to have the best Motorcycle Parts Specialists we are able to provide for our customers here at Cowboy Harley-Davidson®! Preparing a person’s Harley-Davidson® motorcycle for the best and most reliable riding experience on the road ahead is an integral part of what we do here at Cowboy Harley-Davidson®. We continuously strive to give our customers the best experience possible here in the Cowboy Harley-Davidson® Service Department, and are always looking to expand our team of Service Technicians by bringing new, highly-trained Technicians into our team. Helping a person select the proper riding equipment and clothing for their riding needs is one of the most important processes when preparing someone to have the best experience possible on their Harley-Davidson® motorcycle. We continuously make sure to have the best Motorclothes® staff we can provide for our customers here at Cowboy Harley-Davidson®! Every single time any of our customers have a motorcycle serviced here at Cowboy Harley-Davidson®, we make sure to return their motorcycle to them spotlessly clean. This inclusion to our service process is extremely important to us, as we like to be certain that our customers take their bike home in the most immaculate condition possible, without leaving even the smallest amount of dirt in any place on their motorcycle, by checking everything, including the rims, kickstand, and even the backs of the saddlebags, before returning the motorcycle to the customer. Our team of Porters plays an integral role in preparing customers’ motorcycles to be taken home by guaranteeing each motorcycle we service will be spotless and clean once returned to the customer. This process is so important to us, that many of our management team members began working at Cowboy Harley-Davidson®as Porters, because we believe you cannot properly serve a Cowboy Harley-Davidson® customer without having the proper set of core values, which to us is working hard, and never cutting corners, to serve our customers to their entire satisfaction.